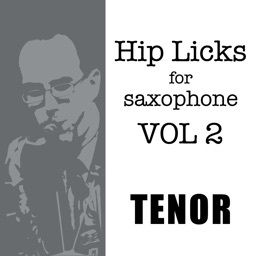 Hip Licks for Saxophone is designed to help saxophonists develop fluency in the jazz language by providing mainstream jazz vocabulary (swing/bop/post-bop) that nails the changes and lays great on the horn. 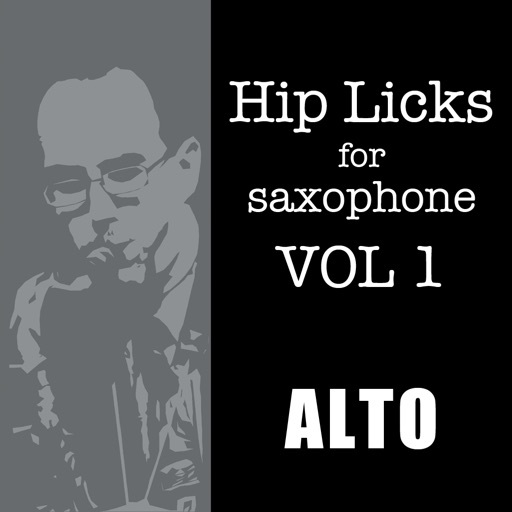 Think of Hip Licks for Saxophone as a musical reference application, like a dictionary of great licks in all twelve keys, available when you need it. You can open the application to any page and just start playing. you how a professional player would approach those tough keys and chord progressions. This application features a customized user interface that makes this application fun and easy to use. 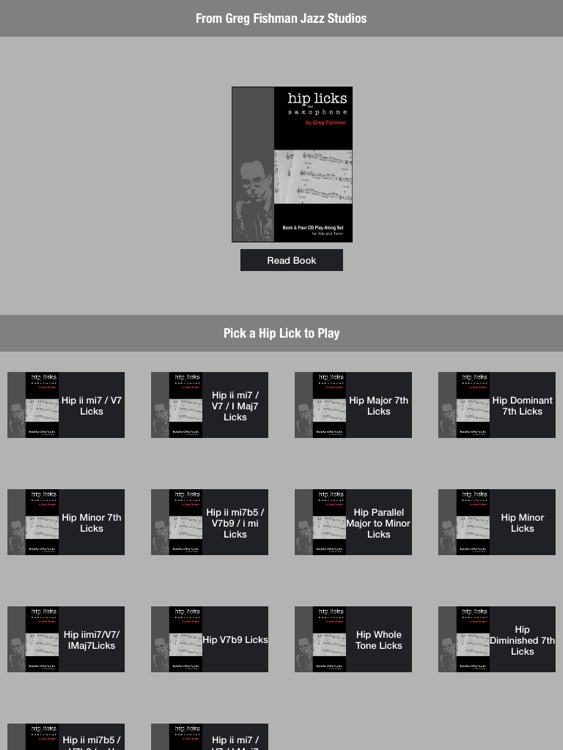 When you launch the application, you’ll see a menu window that lets you choose to read through the entire contents of Hip Licks, page by page without the play-along tracks, or to load each set of licks with the accompanying play-along track. 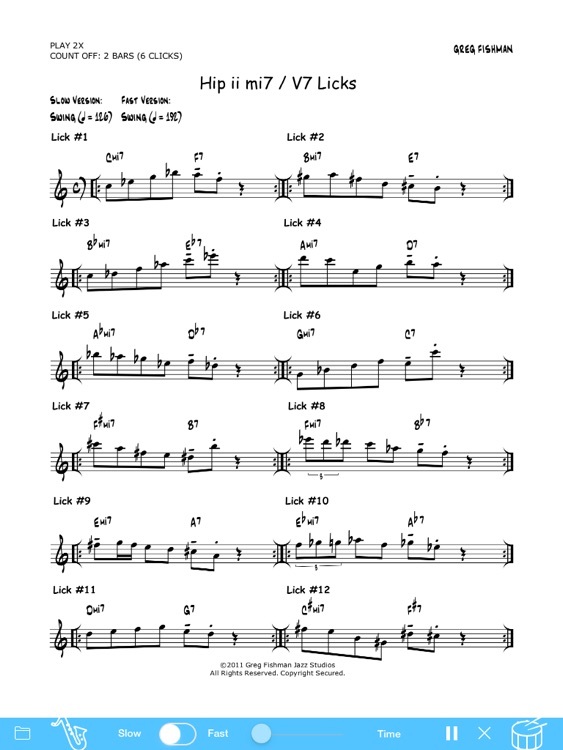 All page turns are automatic, and synchronized with the play-along track. 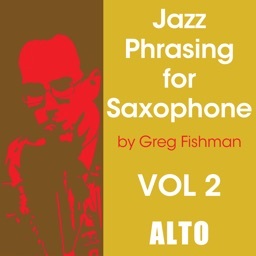 To start playing a sax demo track, simply click on the saxophone icon on the lower left side of the display, and the track will immediately begin to play. To start playing a rhythm-section-only track, simply click on the drum icon on the lower right side of the display, and the track will immediately begin to play. 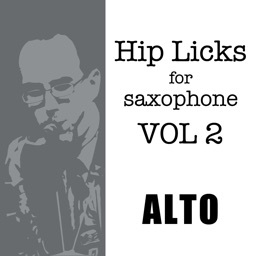 • 168 Hip Licks – Each lick is unique and customized for each key, based on the best timbre, register and playability on the horn. The C7 lick is different than the B7 lick, which is different than the Bb7 lick, etc. 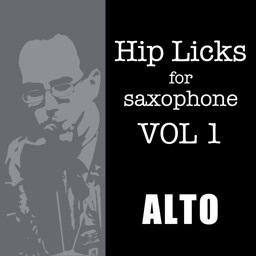 • All fast tempo licks include both Slow Tempo and Fast Tempo Play-Along Tracks. • Interactive Call and Response Format, perfect for ear-training and developing your musical memory. 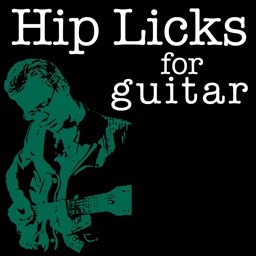 Each lick is played twice in a row on the Play-Along Tracks, so you can hear the lick and then immediately play along. • Twelve Key Approach – Every track takes you through all twelve keys. 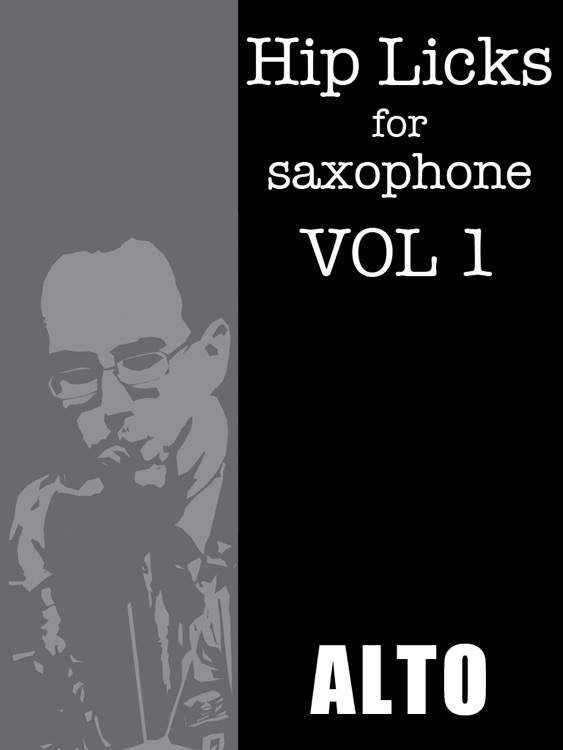 • Rhythm-Section-Only Tracks let you experiment with your own variations on the licks and improvise over a wide variety of harmonic settings. These tracks are also excellent backgrounds for practicing all of your chords and scales. 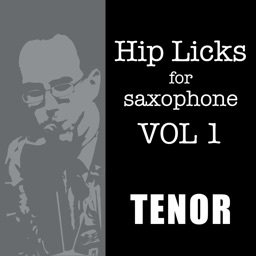 • Technique Builder – Use Hip Licks for Saxophone as part of your daily practice routine to dramatically increase your technical command of the saxophone. If you have no sound from the app, it is because your mute button (on the upper right side of the iPad) is in the "on" position. Switch it to the off position and sound will be produced from the speakers or headphones. CAN'T GET BACK TO MAIN MENU? If you want to return to the main menu, simply tap the "menu" button in the top center of the screen. When the drop-down menu appears, swipe upwards on the menu to the very LAST item on the menu, which says "MAIN MENU." Click on the main menu and you'll be back to the home screen of the app. If you have any other issues/problems with the app, please contact me at [email protected] or call 847-334-3634. All of my books and apps are 100% guaranteed!